GBLs R30 LED Replacement can be used in recessed fixtures and track Lighting for Flood Light Applications. Damp Location R30 LED Bulb, stocked in Vancouver, BC Canada. 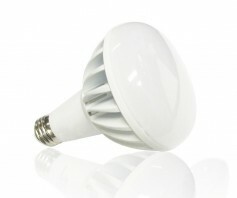 cULus Listed LED R30 or BR30 LED Replacement bulb.